The Pound South African Rand (GBP/ZAR) exchange rate is down today and is currently trading around R17.9740 on the inter-bank market. Sterling (GBP) has failed to hold onto its recent gains, falling against the South African Rand (ZAR) after traders absorbed news that the Democratic Unionist Party (DUP) would back Prime Minister Theresa May’s ‘Plan B’ Brexit deal if she agrees to ‘toughen it up’ and puts in place a time-limit to the Irish backstop. This came after yesterday’s surprise encouragement for May’s ‘Plan B’ after Conservative hard-Brexiteer Jacob Rees-Mogg commented that it could win round opponents if it was ‘reformed’, particularly with regards the Irish backstop. Despite the positive news surrounding ‘Plan B’, however, many investors remained cautious, doubting the likelihood that the government will make these concessions ahead of next week’s vote. Today saw the publication of the UK BBA mortgage approvals figures for December which showed a disappointing decrease to 38.779k, falling below expectations and lowering some traders’ confidence in the UK economy. The South African Rand, meanwhile, has benefited from the continuing US government shutdown, with traders moving out of safe-haven currencies and investing in ZAR. 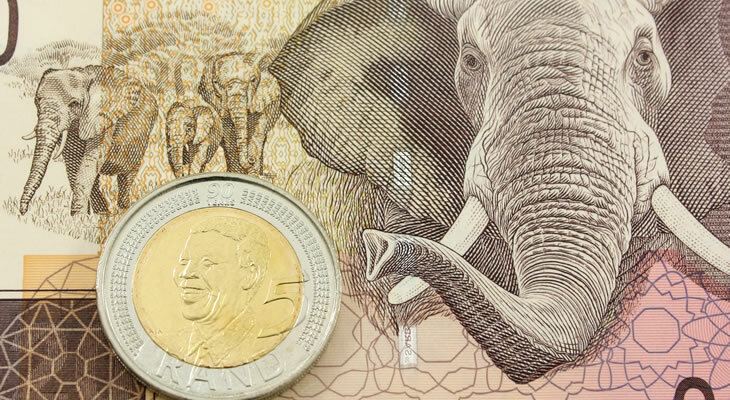 The South African Rand has also appreciated on news that China will increase its fiscal spending to boost its flagging economy, and with South Africa being a big trading partner this has lent support to the ZAR/GBP exchange rate. President Cyril Ramaphosa has been at the World Economic Forum in Davos, Switzerland, over the past few days, where he has been focusing on talking up the South African economy, restoring some confidence among investors. Pound investors will be looking ahead to next week when the House of Commons is due to discuss and vote on Theresa May’s ‘Plan B’ Brexit deal, and with any signs of increased division in Parliament ahead of that, the Pound is likely to slide further against the South African Rand. Wednesday, meanwhile, will see the publication of the UK mortgage approvals figures for December. ZAR investors will be looking ahead further ahead to Friday next week when the South African total new vehicle sales for January are to be printed, with any signs of an increase potentially restoring further confidence in ZAR. The GBP/ZAR exchange rate could remain driven by politics next week, with Pound traders paying close attention to developments around Theresa May’s deal.